I liked this first block. It’s different. I like the subtle chevron pattern that would emerge if you made several of them and lined them up next to each other. This second one I’m not thrilled with, but at least it’s done, right! The last one I really like. It’s a beautiful block, and my favorite blocks in this quilt have been the blue and gray ones, so no surprises here. 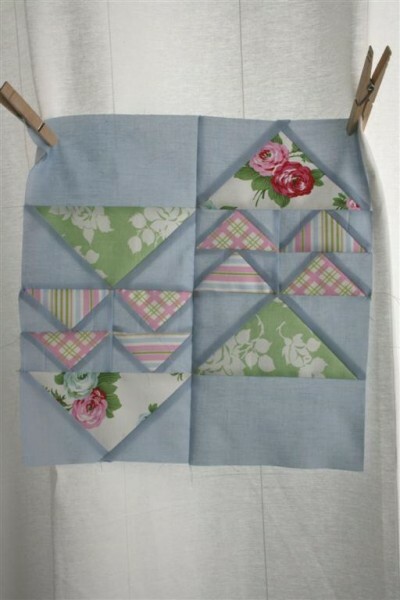 I’m so in love with that blue and white polka dot and I used almost all of it for this quilt. I hope someday to find more of it. 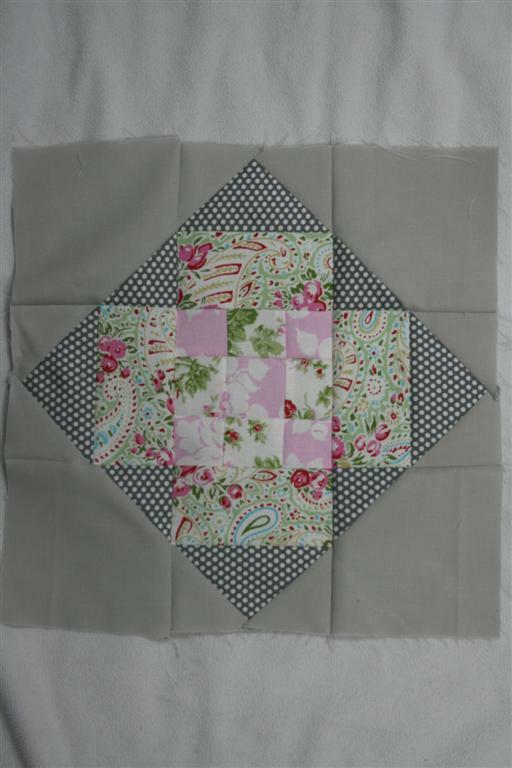 I don’t think I’ve ever heaved such a sigh of relief while sewing than I did when I finished this block. It was TEDIOUS. I counted when I finished, and there are 64 different pieces of fabric in that 12.5 inch block. !!???!?!?? I started the year thinking I wanted to make more complicated quilts, or at least a quilt with some little tiny pieces in it, but after this block I’m not so sure. I don’t know if I have the patience for it. So, all 16 blocks are finished. 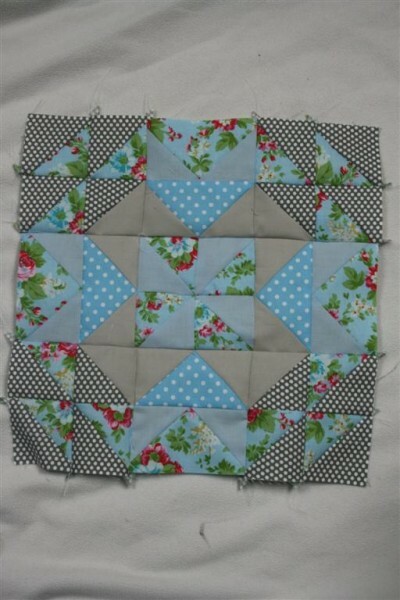 Now I need to trim them, add the sashing, and figure out how to quilt it. For now I’m just happy these blocks are completed. Hooray!